Anyone got any muscle relaxers? Maybe some aromatherapy candles? 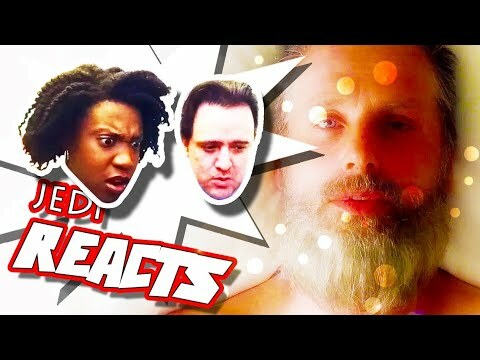 JEDI REACTS SDCC EDITION! : The Walking Dead Season 8 💀Official Trailer is just one more step in my long journey back to the chiropractor’s office. I’M SAYING IT MAKES ME TENSE! Look for the username or hashtag #DigitalJediMaster on YouTube, Vid.Me or The Gram (That’s what people desperately trying to be hip call Instagram.) or look for my Facebook account OfficialMarkDanielMartinez. Share this video with people you love and your most loathed associate. We could flip it either way.